4. Obedience, which must be connected to the Will of God. In fact, while the virtue regards the superiors which God gives on earth, the Will of God is obedience which regards God directly; both of them are virtues of obedience, with the only difference that the first regards men, while the second regards God. Both of these obediences have the same value, and one cannot be without the other; and they must both be loved in the same way. The soul must love according to the Heart of God in order to obtain His satisfaction. “My daughter, it was not my works, nor my preaching, nor the very power of my miracles that made Me recognized with clarity as the God I am; but when I was put on the Cross and lifted up on It as though on my own throne – then was I recognized as God. Only the Cross revealed to the world and to all of hell Who I really was. All were shaken by this and recognized in Me their Creator. Therefore, it is the Cross that reveals God to the soul, and reveals whether the soul is truly of God. It can be said that the Cross uncovers all the inmost parts of the soul, and reveals to God and to men who she is. All the virtues of creatures form a wall of a certain height. The wall of a soul who lives the Will of God is a wall so high and so deep, that neither its depth nor its height can be seen. It is a wall all of gold – pure and solid gold, not subject to any evil, because, being founded on God, it is kept by God Himself. No power can destroy it. The soul who lives in the Will of God is clothed with a light similar to that of God. The soul who wants to live in the Will of God, opening herself to It, feels herself changed; she feels invested with a divine air; she feels almost divinized. In fact, from impatient, she becomes patient; from proud, humble, docile, charitable, obedient; from poor, she becomes rich in virtues. The virtues of this soul form a circle around the golden and boundless wall, erected by God. The soul remains immersed in God. The Will of God is the rest of the soul; It is the rest of God in the soul. The Will of God is the paradise of the soul on earth, and the paradise of God on earth. The Will of God is the only key to open and access the secrets and the treasures of the Omnipotent One. 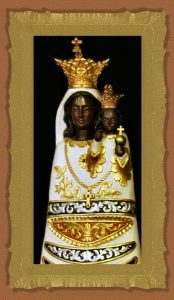 One who possesses the key of the Divine Will will be the first to receive the fruits of the divine graces; she is like that creature who, living in the house of her father, receives and enjoys the first fruits of his works. 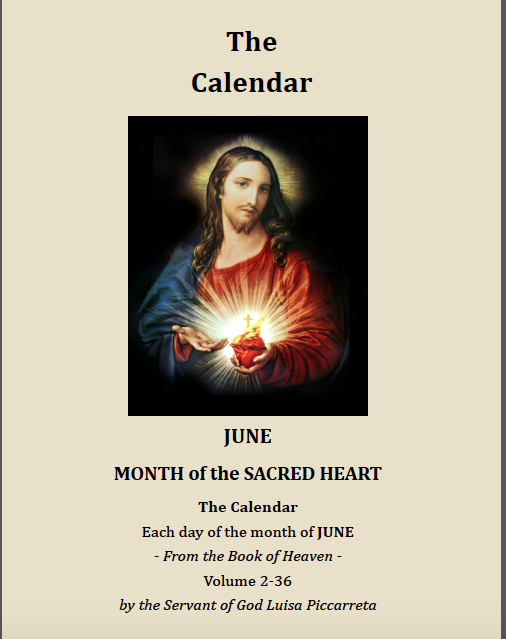 Jesus, being Man and God, contained and enclosed within Himself the breath of all humanity; movements, actions, thoughts – everything was contained in Him, who sanctified them, divinized them and repaired for their evil. If humanity, ungrateful, gives nothing to Jesus, He will take everything from the souls who live His Divine Will. One who lives the Will of God is similar to Jesus and embraces all creatures and their operating; and they will receive the benefit. One who lives the Will of God leaves his own, which formed his torment; he leaves poverty and finds richness – a richness that is not human, but divine. He leaves a minor, small human knowledge, and learns a divine science, much greater; small things are abandoned, everything becomes great in him; all the things of the world become nothing before the majesty of the Wisdom of God. The Will of God places the seal on the interior and exterior life of a soul, and when the Divine Will rises in a soul, she will find true love. Sorrow for one’s sins, though praiseworthy and good, does not destroy one’s own self, which remains as it is, without giving up anything. On the other hand, one who abandons all of himself in the Will of God, destroys his own self and conquers the love of God. The soul who lives in the Will of God gives to God everything that He can ask of a creature. On the other hand, the soul who goes out of the Divine Will reacquires her own being and her own self, and all the evils which her egoism and her nature bring. For one who lives the Will of God it is unbefitting to imitate the Saints who asked God forgiveness for their sins, constantly examining their sinful lives. In fact, the Will of God does not produce sins or imperfections. One who, in each instant of his life, lives the Will of God, remains sanctified; and if in the past he has committed sin, everything is forgotten in the beauty, in the sanctity, in the immensity of the Divine Will. He forgets his past in sin, and remembers only the present. The Divine Will is truth, and even if It is persecuted and misunderstood, the time will come when It will come to light, to remain like a lamp amidst the people and be intensely loved. One who lives in the Divine Will is a like a fertile ground in which the Lord sows continuous truths, like goodness, mercy, sweetness, justice, fortitude and power. Even when the Lord does not speak and seems to be silent, in reality He continues always to sow His sublime truths in the mind and in the heart. Aridities, temptations, defects, restlessness, coldness, cannot enter into the Divine Will; in fact, the Will of God is light and contains only and solely His grace. The human will can be called a portion of darkness, full of many things which do not satisfy man, but disgust him and delude him. Many times the human will leads man to desperation. The soul who wants to live the Will of God immediately comes into contact with His light, which dispels the darkness, transforming her into splendid light. The heat of the grace of God dissolves the cold and the aridity; the grace of God destroys every deceit and every unhappiness. The Will of God is a continuous communion with the soul; not once a day, as it happens in the Eucharistic Communion, but each moment of the day is a continuous communion with God. One who does the Will of God immerses his whole being in God and is in continuous contact with the power, the wisdom, the charity and the beauty of God. God feels continuously touched by those souls who do His Will, He bends down toward them in order to love them and answer them; He denies nothing to them. In these souls, the only happiness is God, and this is the great fruit that the Will of God produces in souls – it seems that It wants to beatify them in advance. One who accepts suffering appreciates God, appreciates the cross of Christ, His pains, His suffering Humanity, and will always be careful not to offend Him. Men want to shun suffering; they always ask God: “Why?” These souls will never have an explanation, because it is not written on earth, but in Heaven. The ‘why’ is the expression of one’s selfishness, which feeds the love of self. The ‘why’ was created in hell, and the first to pronounce it was the devil. The ‘why’ has a long history in the world, and there is no evil which does not carry the mark of the ‘why’. The ‘why’ is the destruction of the Will of God in the soul, and produces a continuous war among men who want to selfishly ignore the providence of God. The soul who lives in the Will of God acquires such power, as if she received a new baptism, which, in a certain sense, surpasses the first. In fact, in the Will of God there is all the fullness of grace, and It concedes no space to the human passions. Baptism removes original sin; however, all the human passions and weaknesses remain. Baptism renders us priests of God, opens the doors to grace, is the foundation without which one cannot be a Christian. It is a necessary Sacrament, the Sacrament of Christian initiation, but It does not have the power to destroy temptations and human passions. Man must always ask for grace and strength from God in order to conquer the enticements of evil. In the Will of God, renouncing his own will, man destroys all human passions and lives the virtue and the fortitude of the grace of God. Also the Sacrament of the Eucharist does not produce perennial fruits in the souls who do not live the Will of God; Its fruit last for a little, even only a few minutes. One who lives the Will of God is in perennial communion with Him, who extends in Heaven and on earth; a communion of grace takes place, with God and with all His Creation. The Will of God is not subject to any limit. Everything, however, depends on the soul, who must desire It in order to be truly free, without conceding anything to her human will and to all the cortege of passions that try to possess her. One who lives the Will of God is a triumphing soul, and encloses every possible good for her salvation. The soul who lives the Divine Will reaches the perfect union with God, destroys any shadow of her own will, so much so, that it cannot be distinguished what her will is, and what the Will of God is. The Divine Will becomes the life of the soul, and everything is good for her – death, life, the cross, poverty. She reaches such perfection, that not even the greatest chastisements frighten her, because everything takes place in the Will of God. Only evil is completely foreign to It. The soul who is all consumed in the Divine Will disarms the Justice of God, who draws back His punishing hand, because this soul, by living His Will, becomes the lightning rod of Divine Justice. All this expresses the supreme union with God, the union that a creature can reach. Unfortunately, there are souls who are only resigned to the Divine Will, but do not look at It as their own life. These souls are good, but do not draw upon themselves the immense love of God, nor will they be able to reach the perfect union with God. The Will of God is the Sanctity of sanctities. 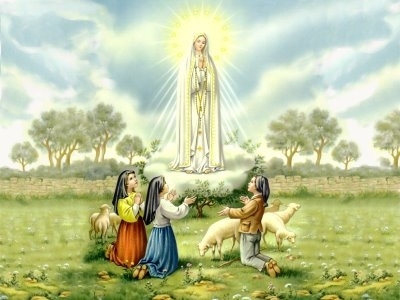 A soul, most little, ignorant, despised and ignored by all, can live in the Will of God in the way indicated by the ‘Our Father’: “On earth as It is in Heaven”; she becomes queen and surpasses all other Saints, even if they have performed miraculous portents and sensational healings. The soul who lives the Will of God seems to do nothing, because she acts in hiddenness; in fact, the works of God do not make noise. All the souls who live the Divine Will are light that illumines, winds that refresh and purify; they are like fire that burns the impurities. The souls who live the Divine Will are miracles which make others perform miracles; and those who have the charism of miracles represent nothing other than channels. 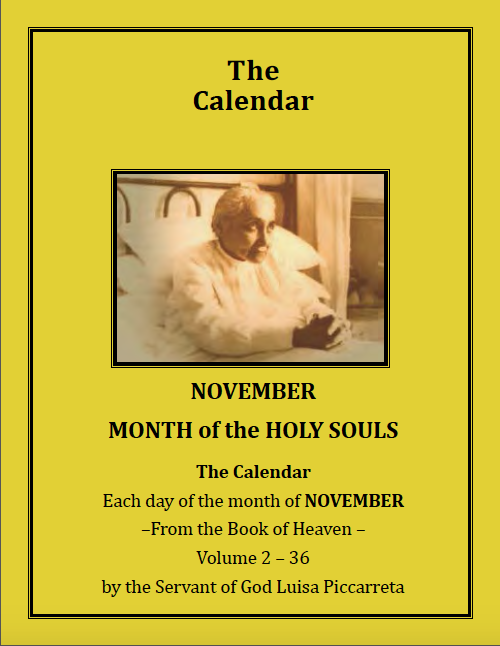 The souls who live the Will of God are the foot of the missionary, the tongue of the preachers, the strength of the weak, the patience of the sick, the rule of the superiors, the docile obedience of the subjects, the tolerance of the slandered; they are firmness in dangers; they possess the heroism of the heroes, the courage of the martyrs, the sanctity of the Saints. One who lives the Will of God comes to take part in all the good that is in Heaven and on earth. One who lives the Will of God is a living host; she is a soul filled with life. 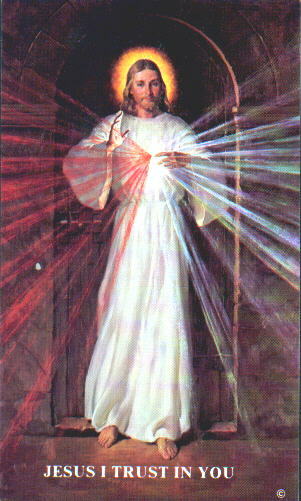 The souls who live the Divine Will are hosts consecrated to the Divine Will of Christ Our Lord. The life of these souls is like the life of the Saints, who render honor to God in Heaven and on earth. One who lives the Divine Will ardently desires two things: that the Will of God and that His infinite love be completely fulfilled in her. All the good works and all virtues remain absorbed by the love of God. The Will of God is fulfilled only and exclusively through the giving of oneself completely and without reserve to Jesus, the only salvation. Once this is obtained, everything that is human satisfaction becomes secondary, and the journey toward the grace of God begins, which places every possible good at the disposal of these souls. The Lord Jesus leads these souls to the top of perfection, making Himself their Teacher and Director. 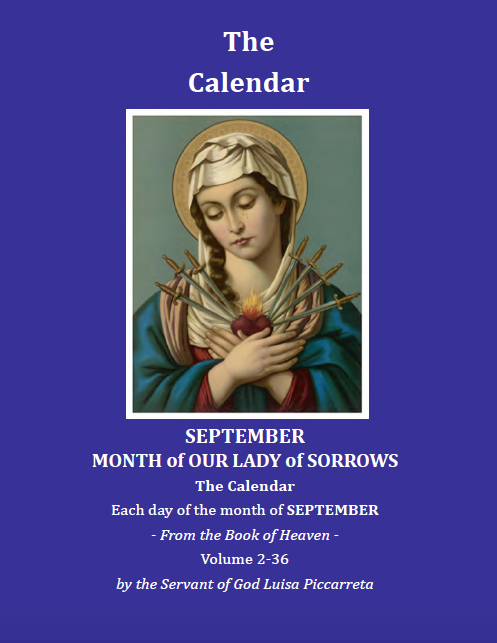 God permits guilt in some souls who love Him, in order to perfect them more, in such a way that, in looking at her fragility, the soul may abandon herself completely in His arms and draw His mercy upon herself. This soul will show herself grateful for the benefit of His mercy, because she will comprehend more and more the love that God has for her, and she will cling to Him with ever more intense surges of love. 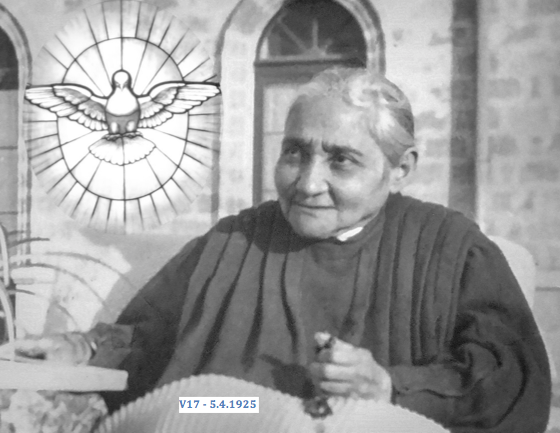 The love of God toward creatures is great, immense; it is like the light of the sun that pervades all the earth, and if a soul could perceive the voice of the Divine Sun, she would hear only one word – an infinite “I love you”. It seems that God wants to say to the soul: “I love you in the light of your eyes; I love you in the air that you breathe; I love you in the wind that caresses your face; I love you in the heat, in the cold perceived by your touch; I love you in the blood that circulates in your veins, in the beating of your heart, of your thoughts, of your actions, of your steps. I love you in each of your words.” And God waits for nothing other than a response to His “I love you’s”. The Will of God is the true sanctity that reorders all things in Him. In fact, just as God is the perfect Orderer of Creation, in the same way, the creature that lives the Will of God orders all things according to His Will. For one who does the Will of God – for one who lives It – there is no death. Death is for those who do not do the Will of God, and each privation becomes a death for them. For one who does the Will of God, death is nothing other than to lay down one’s remains, just like someone who takes off his poor rags to be clothed with royal garments; someone who leaves the place of his exile and enters again into his fatherland. The souls who live the Will of God are not even subject to judgment, because everything that death implies is anticipated by the love of Christ, who has predisposed everything, and with His death has opened the ways to Heaven. One who lives the Will of God must die to everything – to suffering, to virtues; in sum, to all that a soul can do with her own will. The Will of God, lived in a soul, becomes the tomb of that soul; and just as, in a tomb, the human nature is consumed to the point of disappearing completely, so it must happen in that soul who lives in the Divine Will. From this consummation, she will rise again to a more beautiful life, to a new life. 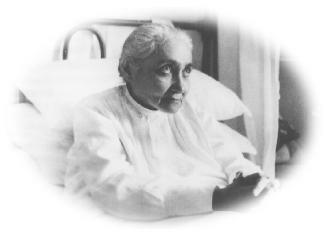 In fact, inside the Will of God, the soul will die to suffering, to virtues, to all of her own spiritual goods, and will rise again to divine life. One must learn how to live only the Will of God in order to live the life of Heaven even while being on earth. Her will is the love of God, the love that never ends, which becomes the sealing stone of the tomb that gives no more hope to go out, because everything is molded, renewed, risen again in His love. Each thought that regards man, even the thought of his own virtues, is to flee from the divine life; on the other hand, if the soul thinks only of God and of what regards Him, she acquires the divine life and flees from the human life in its sad consequences. In fact, the human life without God is like a reed that is flapped about by the wind. In order to forget herself, the soul should do everything that she does and that is necessary to her life, as if God Himself wanted to do it in her. For example, if she prays, she must say: “It is Jesus who wants to pray, and I pray with Him.” If she works: “It is Jesus who works in me.” “It is Jesus who wants to walk with me, who wants to take food with me, who wants to sleep, who wants to get up, who wants to enjoy Himself with me”, and so on for all the acts of one’s daily life, except for sin. Only in this way can the soul forget herself and do only what God wants. For example, in her work she must be convinced that it is the hands of Jesus that are working. In fact, in the terrestrial life of Jesus, true God and true Man, His hands were made rough by the work that He did; and those very hands, those divine fingers, created souls, divinized all human actions, sanctified them; and in the movements of His fingers He called all the movements of the hands of men. 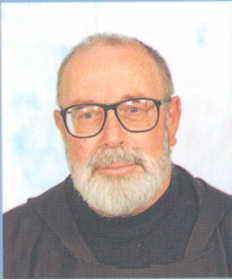 The hidden life of Jesus of Nazareth is not appreciated by men, while it is an incalculable good poured over humanity. Drinking, working, sleeping, eating, starting the fire, getting married, enjoying oneself, are the most common acts of men’s daily life, which men themselves do not appreciate. 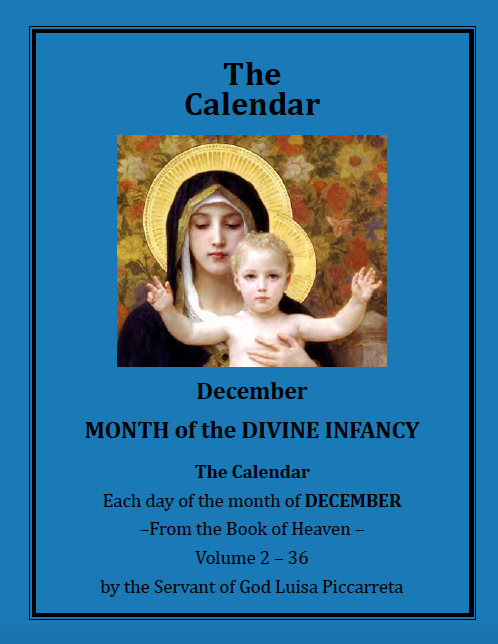 But the Divine Man of Nazareth did appreciate them each day, so as to render man capable of perceiving His dignity as child of God, even in the lowliest acts. In fact, through Christ, God makes all the human actions, even the most indifferent and humble, flow in His Will, so that they may acquire infinite merits. The man who performs his work in the Will of God is capable of making all of his actions flow in the Divine Will, and God could not give man a greater honor than this. (Lord, how incomprehensible You are in Your infinite love). One who dwells in the Will of God embraces everything and everyone, prays and repair for all, and encloses within himself the love that the Eternal Word has for all. The soul who lives the Will of God is immensely dear to Him, immensely beautiful, because she is full only of His gifts, and everything that is human she has freely left. One who lives in the Will of God is not subject to temptations because the evil one cannot enter into the Will of God; on the contrary, the evil one flees and moves as far as possible because the Will of God is light, and the soul, inundated with the divine light, would recognize well the snares and the tricks of the enemy, the tempter. If a soul goes out of the Will of God, all the enemies of man swoop down upon her; on the other hand, one who lives in the Will of God has the flag of victory always in her hand, and no one can draw near this impregnable fortress. One who does not do the Will of God loses his reason of life; in fact, he lives his life without means of sustenance; he is like a tree that produces no fruit and can only produce poisonous fruits, and it poisons whoever imprudently eats of them. These trees do nothing other than steal the hard work and toils of the farmer, who toils in hoeing around them. The soul who does not do the Will of God is like a thief that wants to take possession of things which are not his, and converts the stolen goods into poison, into sinful actions. The man who does not live the Will of God steals the work of Creation, desecrating and destroying nature; he steals the Redemption operated by Christ, by rejecting It, despising It; and he denies the very existence of God. He steals the Sanctification, attributing to himself what belongs to God. He steals the light of the sun, the food with which he feeds himself, the air that he breathes, the water that quenches his thirst, the fire that warms him, and the ground on which he puts his feet. All these goods were given so that man would do the Will of God; they were not destined for other purposes. The Will of God is like the sun, and His love is like fire. His Will, unlike His love, does not need to be nourished; in fact, if firewood or combustible oil are lacking, the fire is extinguished, and it grows or decreases according to the quantity of fuel that one puts in it. The man who does not do the Will of God is subject to perennial instability, and the light is dim and the fire is only smoke. If love is not nourished or regulated by the Will of God, it is destined to die down. The actions that are done in the Will of God form as though one single thing with the Will of God Itself and become an inextinguishable sun. The firewood that nourishes the human fire, which comes to be part of the fire of God, are the virtues exercised in the Most Holy Will of God. In this way, the whole human being is united to his Creator. In fact, the soul, with her virtues, becomes the firewood that nourishes continuously the fire of human love, directed toward the love of God. The soul, in order to live the Divine Will, must be similar to the Divine Being, in which the divine firewood never runs out, and so the light is not dim or full of smoke, but is always shining. The Will of God is the center of the soul, which, like sun, spreads its rays, gives light to the mind, sanctity to the human actions, life to the heart, power to the words, strength to the steps. The Will of God, which is the center of the soul, never leaves us alone or separated from It; It surrounds and molds the human life completely, and is the center of everything, as It will be in Heaven, in the fullness, when man reaches his Fatherland. The Church teaches that the center of a Christian soul is the Eucharist. This is true – but Who instituted It? 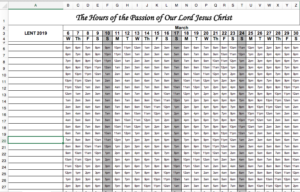 Who submitted the Humanity of Christ to enclose Himself within a host? Was it not the Divine Will? Well then, it is the Divine Will that has primacy over everything. If the Eucharist were the only center of the soul, all those who receive It should be holy. 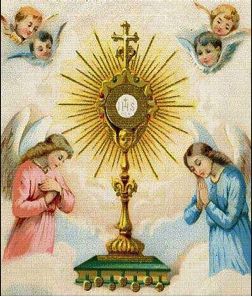 But it is not so, because the souls who do not live the Will of God, even if they are eucharistic souls and nourish themselves daily with the Body and Blood of Christ, live generally in a miserable condition, except for rare cases. 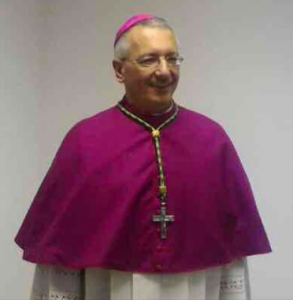 They remain always at the same point: vane, irascible, punctilious, gossipy; and at the moment of trial, they are capable of doing evil; and the Most Holy Eucharist, divine nourishment, Bread of Angels, a mystery inscrutable for the human mind, remains dishonored. 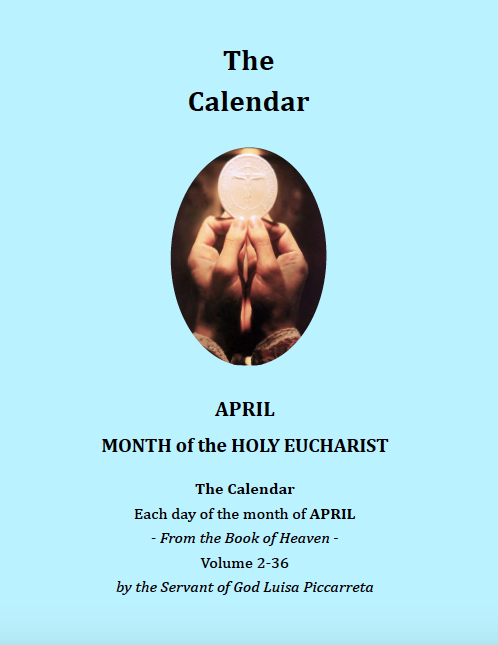 On the other hand, a mother, a father, a simple woman, a young person, who strive to live the Will of God, even if they do not nourish themselves daily with the Eucharist, spread everywhere the light of their virtues, becoming authentic eucharistic souls. All the Sacraments, in these souls, produce their fruits, insofar as they live, submit themselves to, and accept, the Will of God in their lives. If the human will does not kiss with the Will of God, even if man nourishes himself continuously with the Eucharist, he will remain always on an empty stomach; if he goes to Confession, he will remain always dirty. So, all the Sacraments will only be profaned, and, in a special way, the Sacrament of Marriage, in which the sanctity of souls must arise and develop, otherwise it remains horribly desecrated. Only one who lives the Divine Will gives life to all the Sacraments and to the goods that come from them. Those who do not believe, or do not want to believe, that the Will of God is the fount of every good and of all sanctity, are and will always remain babies in the faith. 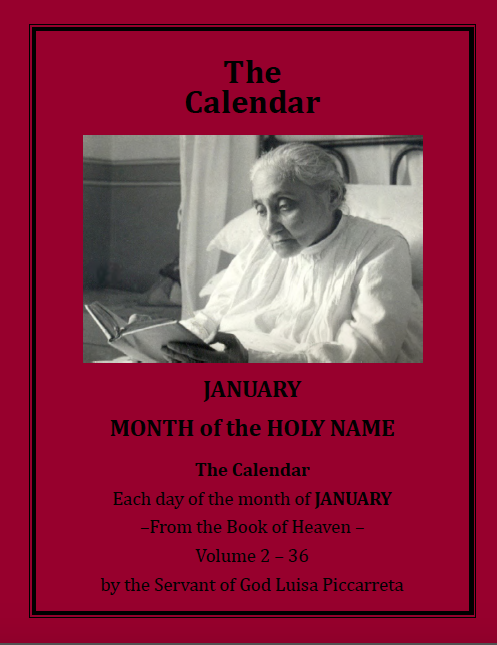 The soul who lives the Will of God identifies herself with It, in such a way that it can be said that she is one with It, which therefore becomes life of the soul, present inside and outside of the human person. It is like the air that one breathes, which gives life to everything; like light, which makes one see and comprehend everything; like heat, which warms, fecundates and makes everything grow; like the heart that loves, which beats for the beloved; like the hands that work; like the feet that walk. In fact, when the human will unites with the Divine Will, the Life of God is formed in man. When a soul expresses her love to God, and expresses it in the Will of God, she fills Heaven and earth with adoration, blessings of praises and of thanksgiving. This is a simple act that everyone can do: to praise, to celebrate, to love God with His Will, fills the entire universe with blessings and with thanksgiving. The attributes of God are only an act of the Will of God; justice, goodness, wisdom, strength and all the other virtues, do their course always preceded and accompanied by the Will of God that actualizes them. One who lives the Will of God takes and lives the All, and can also say that his terrestrial life has put an end to weaknesses and to temptations, to passions, to miseries, because one who lives the Will of God makes the human weaknesses lose all their destructive force. 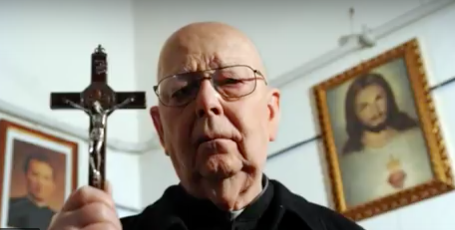 When the human will is opposed to the Will of God, it forms the cross: God becomes the cross of the creatures, and the creatures the cross of God. We can say that the long beam of the cross is God, while the short beam represents humanity; and they form the gallows of God and of men. When man lives the Will of God, the beams of the cross no longer cross each other, but are united, and they no longer form the cross. It is God that sanctifies the cross, not the cross in itself; so, it is not the cross that sanctifies, but it is the submission to the Will of God that sanctifies the cross, which produces immense fruits of Redemption. The human cross can only produce fruits if it is lived in the Will of God. The cross sanctifies and crucifies part of the human person, while the cross that is lived in the Will of God spares nothing – it sanctifies everything; it crucifies the thoughts, the desires, the will, the affections, the heart – the whole of one’s being. The Will of God, being light, makes the soul comprehend the necessity of sanctification and of complete crucifixion. 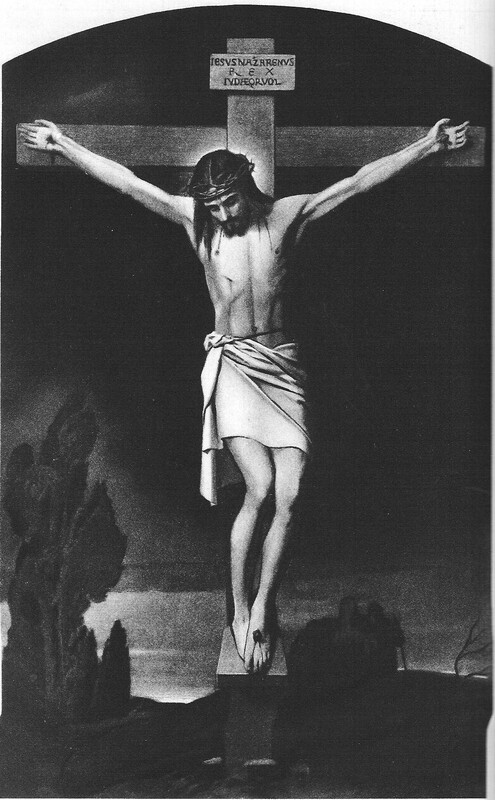 The human will, if it manages to crucify the passions with three nails, remains content, it triumphs in almost all its weaknesses; on the other hand, the Will of God is complete, and does not use three nails, but many nails, which form the human will, in order to dispose the creatures to accept and live the Divine Will. When creatures do complete acts in the Will of God, they take something of God and create within themselves so much light as to form a sun, which is such as to spread its rays that meet and embrace with the rays of the Divine Sun. The Will of God is the highest point that can exist in Heaven and on earth, and if a soul arrives at reaching it, she can say that she no longer needs anything because she possesses everything; there is nothing left for her but to dwell in these divine heights, to enjoy them, to comprehend them, even though she will never comprehend them fully, because the Infinite and Eternal Will will never be fully comprehended either on earth or in Heaven. Creation and creatures will comprehend It according to the measure in which they are capable of comprehending It. One who does the Will of God acquires that light which a creature can contain. Just as the Will of God forms the beatitude of Heaven and of the earth, so will those souls who live the Will of God pour their beatitude over all the earth, and there will be no good on earth which will not be communicated to all souls through them. Just as in Heaven there is no happiness that does not come from the Will of God, in the same way, on earth, there will be no good which does not come from these souls who live the Will of God, because these souls will communicate to others something of God. Just as evil is diffusive, so will good be; even more, it will multiply to the infinite because it depends on the Most Holy Will of God. The soul who lives in the Will of God can rightly say that everything that God operates in Creation is also hers by participation, because the human will has so identified itself with the Will of God, as to be able to say: “I act with God”. 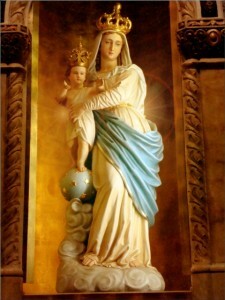 In fact, in the Will of God there are all the goods of Heaven and of Creation; the Will of God is Life, and one who lives It can say that she lives her human life fully; in fact, dying to temporal life, the soul can enclose within herself all the good that creatures operate (works of mercy, Holy Masses etc. ), because all this depends on the Will of God, which surpasses all the works of creatures, past, present and future, because God has neither past, nor future – God is Eternity. 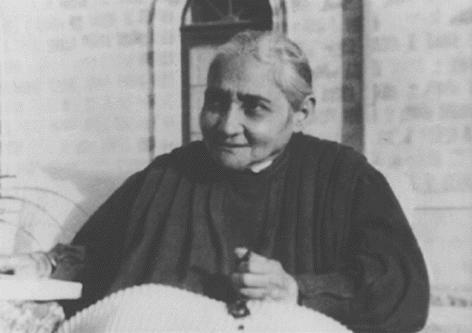 The soul who lives the Will of God, dying to her own, acquires such sanctity, such beauty, wisdom, love, united to an infinite height and richness, that one can say that nothing can compare to her sanctity – nothing can equal it. The soul who lives the Will of God is adorned with many refulgent suns, one different from the other in light, in beauty, in sanctity, in wisdom and in love. Their light will inundate the souls of the Blessed, who live the Will of God, and living water will gush forth from them, which will inundate all Creation for the good of humanity. The Will of God is the portent of portents, It is the secret in order to find light, sanctity and the riches that the soul needs. All this remains in the secret of a soul who lives the Will of God – they are not visible goods, and this is why they are not loved by men. It is necessary, therefore, to love and to make known this mystery of God to those souls who are disposed to accept it. The soul must not get worked up; she must only try and live the Will of God, and He will do all the rest. One who really lives the Will of God can say that in all of his operating, it Jesus that operates in him – in the joys and in the sorrows of daily life. The soul who lives the Will of God perceives all the evil that the world does, she feels it as though in her own flesh, and tries to repair by uniting herself to the sufferings of Christ. One who does and lives the Will of God is not subject to any penalty, because the Will of God destroys all evil. 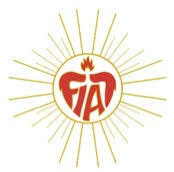 One who lives the Will of God is part of the works “ad intra” and “ad extra” of God, therefore these souls attract the Heart of God, His desires, His affections, His thoughts. The breath of these souls becomes the breath of God, because these souls give glory and love to the Omnipotent One. They enter the Eternal Love of God, so much so, that since they are unable to contain Eternity within themselves because they are creatures, this Love pours out over humanity. One who does the Will of God can be said to be similar to God, even though she remains always a creature. These creatures are pointed out to the peoples as the favorite ones, the beloved ones of God, because only through them does the mercy of God extends over the earth. These souls who renounce everything in order to live the Will of God are inseparable from God Himself, because God loves them and enriches them continuously. One who prays in the Will of God has a prayer that can be extended to all humanity, and these goods act according to the dispositions of creatures. These prayers are done together with Jesus the Redeemer, Word of the Father. These prayers are like the Sacraments, which were given to all, but are effective according to the disposition of each one. The prayer done in the Will of God is similar to that of Jesus, and has always a universal value. One act of the Will of God is enough to create myriads of perfect worlds and universes; God has no subsequent acts. The soul who lives the Will of God performs the simplest act, giving God a complete act of love, of praise, of thanksgiving, of reparation; all possible good and praise is enclosed in this act done in the Will of God. 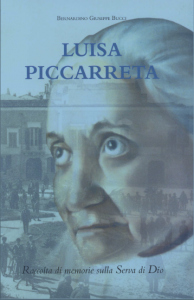 The acts which are not done in the Will of God, even if they are good, will always be imperfect, incomplete, because the creature has need of subsequent acts in order to perfect herself, assuming that she will manage to do so in her lifetime. Everything that creatures do outside of the Will of God is nothing; only the Will of God is the true life of souls, the regime of all possible good for a creature. One who lives the Will of God forms hosts mystically consecrated. 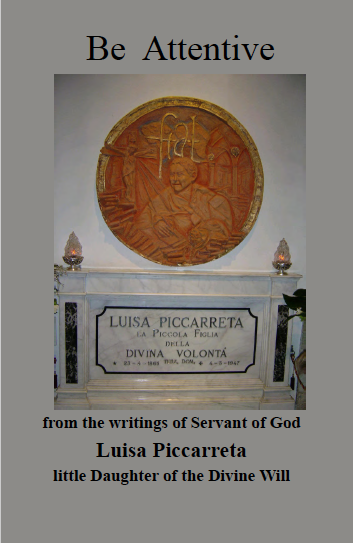 The consecrated host possesses life, and is the Body, Blood, Soul and Divinity of Christ. The Supreme Will of God is the act that contains this life; It is everything that the Eucharistic Sacrament expresses. All the souls who live the Will of God can form a consecrated host. The accidents of the host are formed of a material that is fully human, just as man has a material body and a human will. The body of man, his will, if they are kept pure, upright, far from any shadow of sin, form the accidents, the veils, in order to be consecrated and live hidden in the Divine Will, just as Jesus lives hidden under the accidents and the veils of a consecrated host. All this, however, is not enough. After man has prepared the host of his life, he must die to his will, he must cook it in what is good, in order to substitute it with the Will of God. The Will of God contains the whole of the Life of God and will form in the soul the true and perfect consecration. The human will must have life no more, but must live in the Will of God, spontaneously renouncing its own will. The wisdom of God will invade man’s mind, and he will no longer have within himself human weakness, inconstancy, but everything will be strength, firmness. And when man makes his will flow in the Will of God, He will renew the consecration, as in a living host. God will continue His life in him. In the consecrated host, in the pyxes, in the tabernacles, everything is dead, mute, and there is not a heartbeat, not a surge of love that could correspond to His Eternal Love. If God did not wait for hearts in order to give Himself to them, He would be unhappy and would remain defrauded, and His Sacramental Life would be without purpose. For two thousand years God has tolerated this continuous dying in the tabernacles, because His love is to remain in the midst of His community, even if He does not obtain all the honor due to Him. God cannot tolerate all this in the souls who live His Will, because they are created to live His love, His prayers, His reparations, His sacrifices, which they will pour toward Him as His own, and God Will nourish Himself with these souls. The souls who live the Will of God will have their ears always pricked toward Him, to hear and see what God does, so as to unite themselves to His works, multiply His acts, and do everything in God. In these living hosts Jesus will find the recompense for what He suffers in the tabernacles. For one who lives the Will of God everything must end in It; when the soul does not have this intent, it is as if she had done nothing. Even the littlest act that a soul does in the Will of God encloses within itself the sanctity, the power, the wisdom and the love of God. In that act, God feels His life, His works, His word, His thought, being repeated. All the works that one does in the Will of God are complete works, which enclose the All, with no other aim. In order to better comprehend these concepts, look at the sun: it has the duty to invade the whole earth with its light; the farmer has the duty to sow, to hoe and to work the earth, and in doing this, he suffers the cold and the heat. But this is not his aim – which is, rather, to reap the fruits in order to nourish himself. The same for all the operating of man: if it did not have a precise aim, it would have no value. In the same way, if the soul does not project all her works into the Will of God, her life would become nothing. 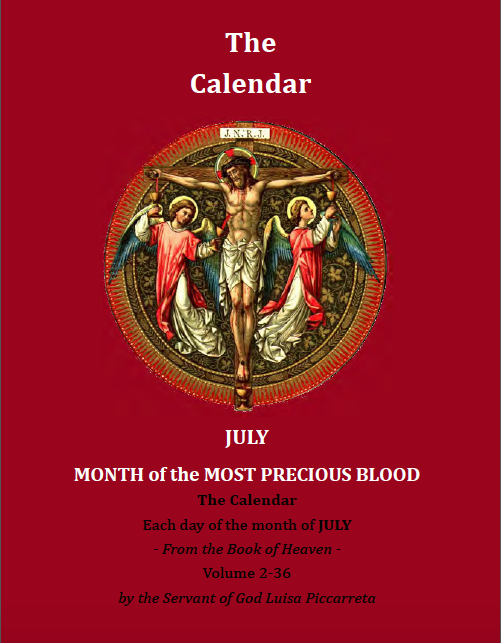 In these times, humanity will go through a very painful period; and the Lord wants to remove from it the cross made of wood, in order to give it the cross of His Will, which knows no height and no breadth: it is endless. 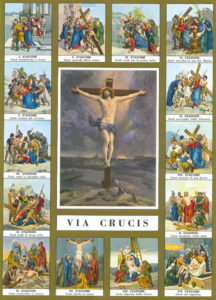 A more noble cross God cannot give, because it is not made of wood, but of light, and in this light, more powerful than fire, the Lord will suffer together with those souls who live His Will; and in the agonies and the tortures, together with these souls, He will try to be liberating life for all. The Will of God contains the creative virtue; It contains the power to multiply all the acts done in It; It is the kiss that the soul gives to God, which represents all humanity, and all creatures will enjoy great benefits according to their free dispositions. An act in the Will of God contains all possible goods. 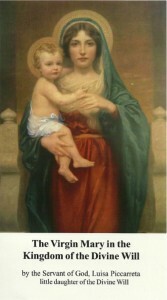 An image of this can be found in the light of the sun. The light is one, but this solar light multiplies in all the gazes of creatures, which, through it, can distinguish all things. The light, however, is always one, just as one is the sun. Not all creatures’ eyes enjoy the same light; in fact, some are of weak sight, others are blind; yet, this does not depend on the sun, but on defects of creatures. If a soul desires to love God in His Will, her love will be heard repeating: “I love You” in Heaven and on earth, and it will multiply to the infinite. The souls who live the Will of God can satisfy for the love of all men. In fact, the creature, be it even the holiest one, is always a finite, created being, while the Will of God is immense, infinite, and everything that reaches It acquires infinite expanses. Only in the Will of God can the creature reach this likeness to God and be His image. In fact, by operating in the Divine Will and by repeating her acts in God, the creature comes to resemble Him and to become His perfect image. Therefore, the only thing that can make us like the Creator is to live His Will; and the creature, by living in the Will of God, realizes the purpose of her creation. The justice of God has its fulfillment by reaching all creatures, while the love of God can be fulfilled only with those creatures who love Him, who try to love God with His own love; and it is this love that puts a limit to the justice of God. The Lord loves His creatures with an eternal love, with an immense love, with an incomprehensible love, which has no limit and no end, and which no creature can repay. God could deny nothing to His own love, and to these souls who, living fully the Will of God, according to their nature, hide within themselves all the evils of the world and, with Jesus, suffer, repair and agonize for the salvation of the world. One who truly opens himself to the Will of God and lives It intensely, makes it so that his heartbeat, his desires, enter into the heartbeats and desires of God, forming almost one single thing, and he will speak sweetly of all souls, sweetly forcing the Lord to save them. In order to actualize this, the stripping of everything and of everyone is needed in the soul. The life of these creatures must be more of Heaven than of earth, more divine than human; and a little shadow would be enough for the soul to no longer feel the strength, the harmony, the sanctity of the heartbeat of God; no longer echoing the heartbeat of God, she no longer harmonizes with Him. 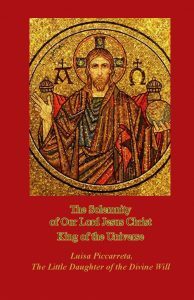 Not having the correspondence of souls, Jesus the Redeemer remains alone in His sorrow and in His joys which, in themselves, have no need of human cooperation. Souls must pray as Jesus prayed, as He poured everything into the Will of God, and only in this Divine Will did He encounter the Father and all creatures, whom He returned to the Divine Majesty as if they were one single creature. In fact, the Divine Will is the absolute Master of everything and of everyone. Jesus laid at the feet of the Divine Majesty all the good acts of creatures to pay Him honor, and the evil acts in order to repair for them with His sanctity and His power. As most holy as the human nature of Jesus was, He felt the need to live fully the Will of God, to give full satisfaction to the Father in order to redeem the human generations. Only in the eternal and immutable Divine Will did Jesus possess all generations, past, present and future, all of their thoughts, their actions, good and evil, which He molded and sanctified with His works. And in the Most Holy Will of God nothing escaped the mind of Jesus; He took all the thoughts of men, all of their actions; He took their eyes, their voice, their movements, and placed them in His Heart with all the affections and desires, to lay them at the feet of the Father and put a brake on the Divine Justice, and satisfy It. God the Father could not reject the Son – His own Will; in the Son He found His perfect sanctity, unreachable and repairing beauty, highest love, immense and eternal acts, invincible power. This was the human life of Jesus upon earth, which He continues in Heaven and in the Most Holy Sacrament of the Eucharist. The soul who lives the Will of God can unite herself to Jesus in the prayer and in all her acts, and place at the feet of the Divine Majesty all the human acts in order to repair for the injustices of creatures, to dispel the darkness, to impetrate for them light, grace and love. In fact, the soul does not present herself before the Father with only her acts lived in the Divine Will, but with those of Jesus, the Eternal Word, who can obtain everything. How much good can the souls who live the Will of God do! As soon as the soul opens herself to God, she is surrounded by His grace; and the soul, seeing herself so gratified, begins to love God in a way that nothing might offend Him; she strives to exercise herself in all the virtues. All this forms a flowery field in the soul, in which God can pick the flowers and delight Himself. God is not content only with flowers; from them He makes fruits be born, so that a soul may satiate herself from His nectar and lose the taste for all human things, thinking only and solely of God. These souls will acquire intimacy with God, who will give a unique flavor to the fruits that these souls will produce. The fruit of courage, the fruit of tolerance, of tranquility, will grow continuously and will be good fruits. God will pick all these fruits and will plant their seeds in more fertile grounds, in which yet more beautiful flowers and fruits will develop. These will be heroic fruits, which will attract the Heart of God. All this represents the state of grace of a soul; in fact, if a soul is not faithful to the grace of God, her fruits will be unripe, tasteless, bitter, covered with mud, and will move the grace of God away from her. The sufferings of a soul are always in communication with the pains suffered by the Humanity of Christ, which took the first place in the divine order. Surely the creature cannot suffer all the pains suffered by Jesus, which have an infinite value; indeed, she would remain crushed and annihilated. The sufferings of the Humanity of Christ are communicated little by little, in such a way that a continuous contact may be created with the benefits that Jesus, with His Humanity, acquired for all generations. 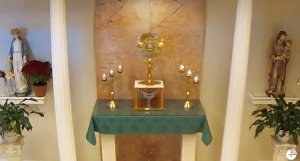 One who does the Will of God must have primacy over everything; and the souls, in their adoration, will carry out a repairing work for the irreverences that many commit in the presence of the Eucharistic Sacrament. In fact, those who live the Will of God are repairing souls, who suffer with Jesus all the coldnesses of men. 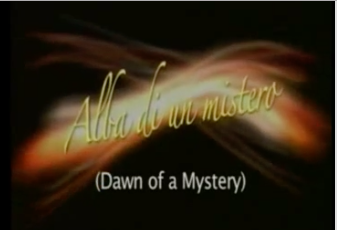 The souls who live in the Divine Will raise before the Divine Majesty all that praise which befits so great a Mystery. For one who lives the Will of God there is no past and no future, but everything is enclosed in one present act. In fact, everything that Christ did and suffered was accomplished in one single eternal act; and creatures, uniting themselves to the work of Christ the Redeemer in the sufferings and in the praise, offer themselves to God in one single act, similar to that of Christ. 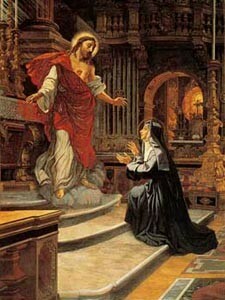 In fact, a soul who tries to imitate Jesus multiplies all her virtues in one single act, to render homage to God. 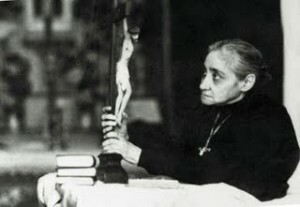 The soul who immerses herself in the Will of God concurs for the good of all creatures and becomes cooperator of Christ in the work of salvation. Souls are touched by the Will of God. The most noble, the most sublime, the greatest and most heroic act is to live and operate in the Will of God; it is in this living that God lavishes His love with generosity. 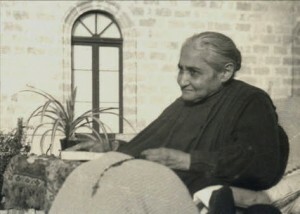 As soon as the soul decides to open herself to the Divine Will and give It all the honor that befits It, the human will encounters the Will of God, in such a way that if the soul is stained, she is purified; if the thorns of human nature enwrap the creature, the Divine Will shatters them; if some sin pierces the soul, it is pulverized, because no evil can enter the Will of God. In fact, all the attributes of God invest the soul and change her weakness into strength, ignorance into wisdom, and her misery into richness; and so on…. In the human acts, be they even very good, there is always something that remains; but in the Divine Will the soul is stripped, rendered naked and hungry, so as to be satiated and clothed completely with God. 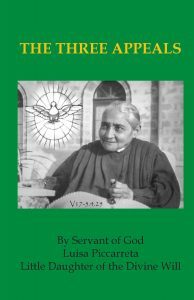 A soul cannot restrict herself within a consecrated host, but can very well restrict herself in the Divine Will and form a host consecrated in the eternal love of God. Each act that a soul does in the Divine Will will form a host, which God will make His own food, just as the soul makes of the Eucharist her food. 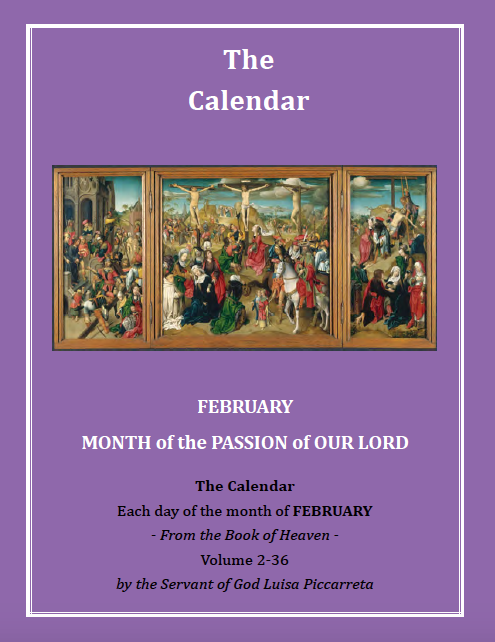 The consecrated host forms the life of Christ; in it is the supreme act of love of Christ toward the creatures, and it encloses within itself all the life of Christ. A soul who lives the Will of God becomes a host for love of God, and the more acts she does in the Divine Will, the more hosts she forms, to render love for love. God is not interested in cities, grandiose monuments, artistic and great churches, because everything can be destroyed and rebuilt. God is interested in the salvation of souls, and for their sake He sent His only Son, that they might be ransomed from the slavery of sin. The Divine Will has the power to render souls transparent, and makes God’s own thought, His own light, be reflected in them; and since God is everywhere, everywhere will the reflections of these souls reach, invading Heaven and earth. To these souls God gives light and love, and they give back to God His very light and His very love. These souls will form the dwelling of God. The soul who lives in the Will of God forgets everything, and finds no other necessity than to live the Divine Will. 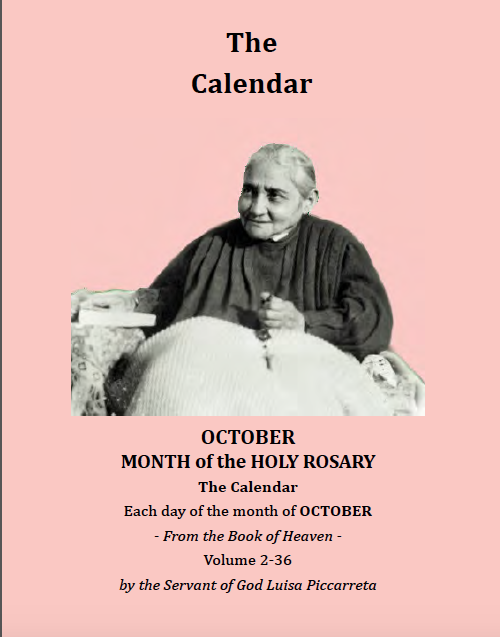 In all sanctities there have always been Saints who have given start to each kind of sanctity. 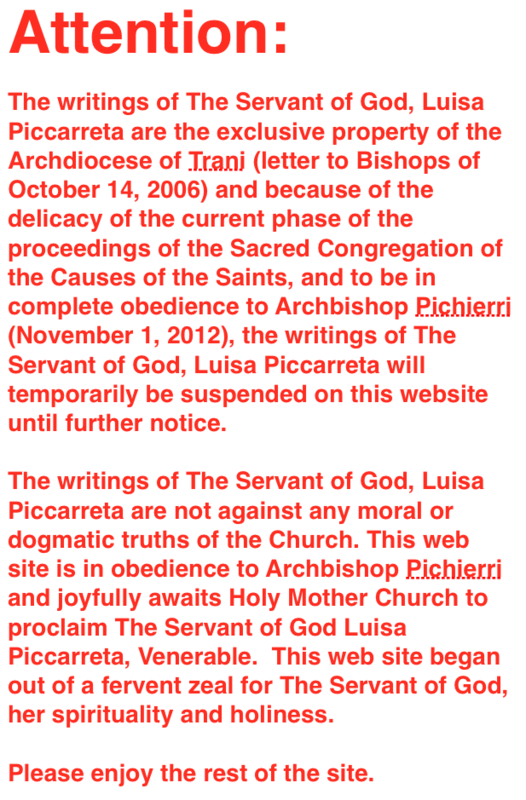 There is the Saint who started the sanctity of the penitent; another, the sanctity of obedience, etc. Even though all these virtues were not separated, yet, in each Saint there was a marked accent on some specific virtues. In fact, the Saints are nothing other that a commentary, rendered operative in their lives, of one sentence of the Gospel in the imitation of Christ. However, in all sanctities there is always something of oneself that remains, and many times these souls mistake their own virtues for voices of God. For example, for one who lives obedience, his life of sanctity is realized in being attentive to receiving the orders of the superiors; and many times this soul is restless and filled with doubts. Other souls, who suffer temptations, mistake their struggles in order to conquer them for the voice of God; and the case is not rare in which the subtle ‘self’ creeps into them, mistaken for the voice of God, and capable of sending everything to ruin. The sanctity of living in the Will of God is exempt from any personal interest, and there is no danger that souls might mistake their own way of living for the voice of God. So, for one who lives in the Divine Will, he is not the one who lives, because he has given his own self freely to God; but it is God that lives in him. This was the sanctity of Jesus; in His Humanity He did everything for everyone, without a shadow of personal interest; in Him lived the Will of the Father. One who sanctifies himself with his own virtues, not giving himself completely to God, is appreciable in his light; he is like a star far away, which will never be able to become a sun whose rays are braided with the Divine Sun. The world of today has need of these Divine Suns, which may warm, illuminate and fecundate the present generations. The disinterest of these terrestrial angels, without a shadow of the self, open for the good of others, will open more channels in the hearts of men, for them to receive the grace of God. 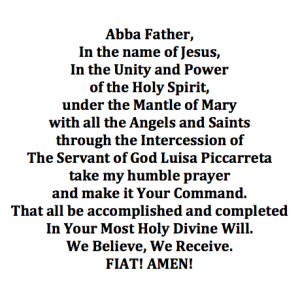 Only in this way will the earth give true glory to the ‘Fiat Voluntas Tua’ on earth as It is in Heaven, which will have Its fulfillment and full realization. 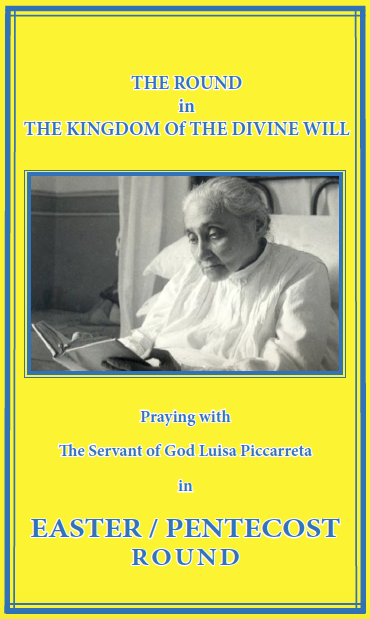 A soul who lives the Divine Will, without realizing it, finds herself in the heights of the divine acts, in the acts of Christ, in His prayers; and it can be said that she is placed almost at the level of Christ. Jesus, in fact, even in His littlest acts, enclosed all creatures, past present and future, and offered them to the Father as complete acts in the name of all mankind. Jesus offered to the Father the whole of mankind and did everything for everyone; He incorporated all within Himself, to sanctify them and render them worthy of the Father. Christ, in the immensity of His Will, of His love and of His power, did everything for everyone. Christ rendered Himself the true Servant of humanity. Everything that man does outside of the Will of God are miserable acts, unworthy of God; while all the acts done in the Will of God, be they even the smallest, have always an almost infinite value. The soul places herself not in humility, which always keeps something of her own, but in her true nothingness: just as naked and ‘a nothing’ she enters the earth, so naked and ‘a nothing’ she enters into the Will of God, to give nothing and receive everything from God. These souls are most loved by God, because they have nothing to offer to God, but offer only the richness that they receive from God, and the very love with which God loved His Son, who poured toward the Father, as sign of praise, glory and thanksgiving, all the love that the Father gave Him. In the Will of God one wants nothing, one wants to know nothing, one wants to do nothing; if one wants to do or know anything, it is only because God did it. Everything disappears and everything is done and given by God. Each soul that enters into the Will of God, and prays, operates and suffers, acquires infinite beauties. In fact, she acquires more strength, more wisdom, more love; and leaving the human qualities, she takes the divine. By operating in the Will of God, the human will remains as though suspended, and the Will of God takes its place, acting and operating. It is the love of God that places itself in action in the creatures. It is Christ, and Christ alone, who forms the Sacrifice of the Mass. The soul who lives in the Will of God also comes to participate in the sacrifice of Christ and remains sacrificed with Him, not only in one Holy Mass, but in all the Masses that are celebrated, and she remains consecrated with Christ in all the hosts. The souls who never go out of the Will of God are in continuous communication with God, and God will be ready to give all the love that a creature can possibly receive. In the Will of God nothing is missing, and the soul finds everything in an infinite way. The word of God is light, and, like sun, it shines in everyone, in such a way that all can have sufficient light for their needs. Each word of God is a sun sufficient to illuminate every mind and warm every heart. Each word of God is a sun that comes out of Him, and it serves, and will serve, all men. No one can put a brake on the operating of God and on His word, which must be comprehended and loved. The word of God is necessary, as the sun is necessary to the earth. One who lives the Will of God makes this Divine Sun his own and will contribute to illuminate all minds and to warm all hearts. One who enters into the Will of God becomes, by virtue of His Will, similar to God in immensity. One who lives the Will of God shares with Jesus the destiny of human creatures, and prays and suffers for their good. The souls who live in the Will of God swim in the immense sea of the love of God; they hide in the Will and in the love of their Creator. The Will of God has the power to render infinite everything that enters into It. It raises and transforms all the acts of creatures into eternal acts similar to Its own. In fact, everything that enters into the Will of God acquires eternity, infinity, immensity, and loses everything that has a beginning and an end – that is, small things: time. 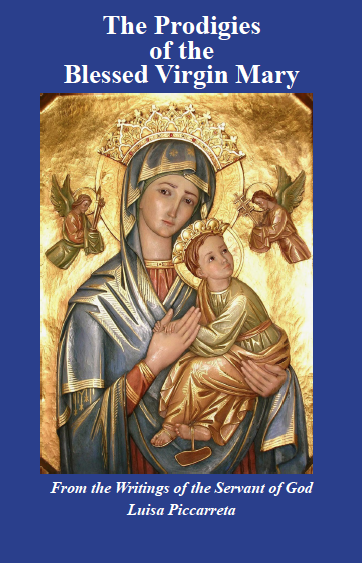 The soul who cries out: “I love You in your Will” will hear the note of the eternal love of God; she hides the created love within the uncreated love, and God feels Himself loved by creatures with an eternal, infinite, immense love – with His own love. The soul in the Will of God lives the love of Christ toward the Father, and makes up for the love of all men. In the Will of God everything is wonder. In fact, everything is eternal in God and nothing has a beginning or an end. All creatures are eternal in the mind of God. The love with which God formed the Creation was unleashed from Him and endowed all hearts with an infinite value. If creatures understood this, and leaving their own will they entered into the Will of God, uniting themselves to His love, they would certainly bind themselves to God and would acquire an eternal and infinite value. Men know little about the Will of God, which is neither loved nor appreciated, and they content themselves with remaining on earth, espousing a beginning that has an end. Only God, and God alone, is the Sun that illuminates and warms, and makes everything grow. Creatures are the little lights that come out of this Divine Sun. The souls who live in the heat and in the light of this Divine Sun, without taking anything away from this Divine Sun, or adding anything to It, live Its light and Its heat. In fact, what is eternal and immense is never subject to growing or decreasing. From creatures, if they have reached some degree perfection, It receives glory and honor. One who lives the Will of God lives His grace, penetrates into the mystery of God, embraces immensity, and multiplies himself everywhere, while still being on earth. He lays down the human ways of acting, and acquires the divine ways and divine acting. This might seem strange, and it is not yet known by all – not even by the great learned of the Church; and those who do not open themselves with docility to this new event, and do not keep their minds open to the truth, will understand nothing, and will try to place obstacles. But the Will of God will make Its way little by little, manifesting now one truth, now another, and in the end their minds will be open to the Will of God. The first link of connection with the Divine Will was the Humanity of Christ. In fact, the Humanity of Christ, with His Divinity, swam in the Divine Volition and took all the acts of creatures, made them Its own, and gave them to the Father, bringing to all creatures the value, the love and the kiss of the Eternal Will. Christ, in the Eternal Volition, contemplated all the acts of creatures, also those which are not good, and He redid them all in order to worthily offer them to the Father. The acts of creatures done in the Will of God are connected to those of Christ, to be offered to God the Father as sign of praise and of thanksgiving. In these times, God creates a link that reconnects the creatures to God, which will multiply to the infinite. These creatures are those who accept, open themselves to, and live, the Will of God. 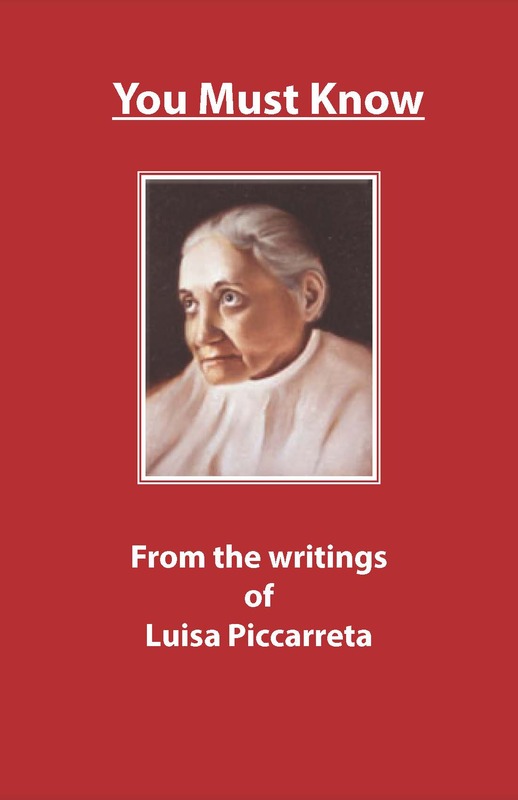 All this was manifested, as first fruit, to the Servant of God, Luisa Piccarreta. We find ourselves before the wonderful pedagogy of God, who manifests His truths gradually to creatures, otherwise they would be incapable of comprehending the living in His Divine Will. These creatures will no longer live their own will, and, like Jesus, will have the capacity to redo all the acts of creatures, giving God true glory. This will take place on the part creatures from all classes: bishops, priests, religious, virgins, lay people, according to their office. 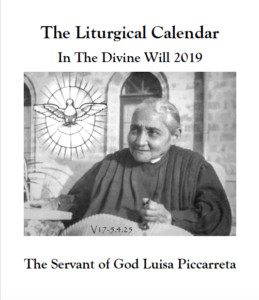 These souls will no longer operate humanly, but penetrating into the mystery of the Will of God and living His Will, their acts will multiply for the benefit of all men in a divine way, and God will receive glory and honor from the human creatures. Each creative act of God encloses within itself a relation of grace and of love between the Creator and the creature; and in view of the creation of man, His most beloved image, who would have the capacity to love and to praise his Creator, His word created the harmonies of the universe, created the sun, the light in which creatures would be able to reflect themselves and contemplate the greatness, the power, the love of the Creator, even though no creature would be able to touch his Creator, just as one cannot touch the sun. In spite of this, God poured out the infinite treasures of His love and His power upon creatures. Everything is given to man, and all things actualize a relation with God; even the little flower of the field actualizes a relation between the Creator and the creature. This is why the Lord loves to be loved by the one whom He so much loves – man, His intelligent free creature, similar to Him. The ingratitude of man was remedied by the Humanity of Christ, who lived in time in continuous praise to the Father. 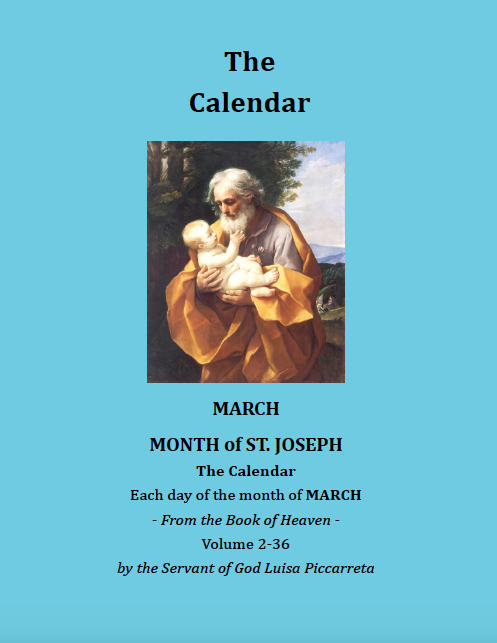 This immense treasure which the Humanity of Christ lived, became not only His property, but He communicated it to other creatures, so that, by living the Divine Will as He did, they too might know and love the power of the Creator, and receive all possible goods that a human nature could possess. These creatures who live the Will of God actualize a relation with the Eternal One, giving Him homage. In the immense creative work of God, man is His masterpiece. The Creation, the immensity of the heavens, of the stars, of the galaxies, are often spoken about. Deep studies and discoveries from scientists are in act, but few speak about the masterpiece of the creation of man, in which God, like an overflowing river, pours out His love, His beauty and His power; even more, in an excess of love, He placed His very Self in the center of man. God desired a worthy dwelling for Himself, and in His Supreme Uncreated Majesty, He creates a creature in His image and likeness. From the depth of His love He emits a sigh which, with His omnipotent breath, infuses life; in this way, this creature, called man, is endowed with all the divine qualities, proportioned to a created being, making him become a little god. Everything that can be contemplated in Creation, immense beauty and immense majesty and greatness, is nothing compared to man, who is made in God’s image. All the stars, all the suns, stupendous and marvelous, cannot be compared to man, who encloses within himself all the beauties, the harmonies and the variety of Creation. No one will ever be able to comprehend the mystery of this love of God toward man, His inmost and direct relations with man, the likeness that runs between the Creator and the creature. If man knew intimately the beauty of his soul and how many divine beauties it contains, and how it surpasses all Creation in beauty, power and light – how much more would he esteem himself, and would not stain his soul with sin, even the slightest; he would be careful not to dirty a beauty so rear, a portent of Creation so unique. But the creature has become almost blind; she does not want to know even herself, nor does she want to recognize her Creator, dirtying herself continuously, to the point of disfiguring the work of God, so much so, that it can barely be recognized. Now it is up to those souls who live the Divine Will, who, uniting themselves to the redemptive work of Christ, may present man before God, as prodigy of love of His Creative Omnipotence. When men are far away from God, they become putrid and emit an odor that is so repugnant as to force God to move away from them. On the other hand, one who lives the Will of God forms a divine air, so very pleasing, and God enjoys breathing this air. The purified air of these souls will invade every corner of the earth, and wherever man is, God will breathe this divine air. Great is the darkness that invades the human creatures; they seem to be covered with a black mantle, such as to render them blind. The souls who accept to live the Will of God are light that illuminates all; they will be God’s reflectors, the reflection of His love, the reflection of His light. 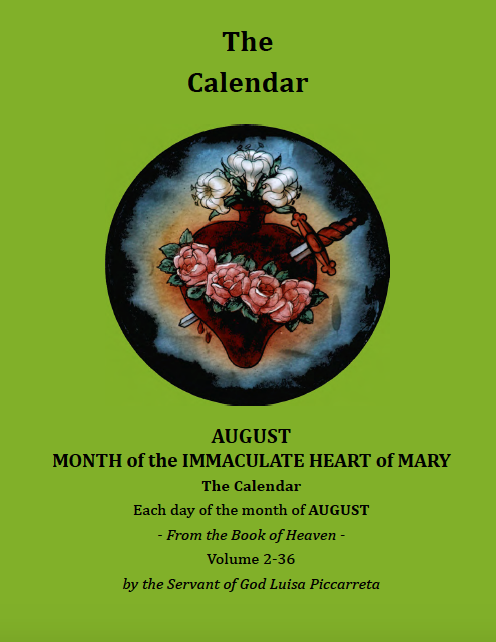 These souls will form the true tabernacles of love and of reparation, of thoughts, of desires and of words; they will be as many hosts which will become food for men, because they are consecrated to the Will of God. 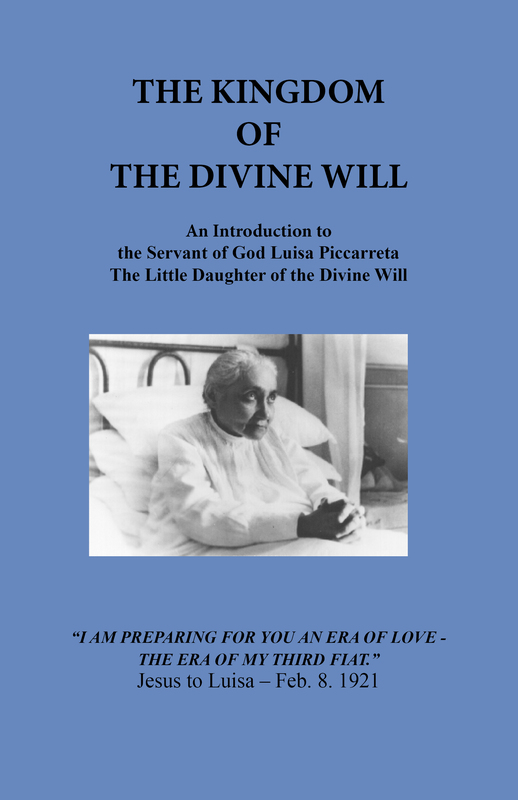 In the Will of God the soul is free; God leaves her free to love Him as she wants, for her to lay down the human guises and take up the divine. This soul loves God immensely, she takes all possible love, His power, His beauty, and God is happy because He finds the soul disposed to welcome His gifts. In the Will of God there is no offense, and creatures give Him love, reparation and complete correspondence; and by the merits of Christ, they substitute the evils of the human frailty with good. All that is impossible to man is possible to God. For God nothing is difficult; He can do anything, there are no obstacles to His operating; and with an act of His Will He could sanctity everything and everyone. However, God desires the ‘yes’ of the creature, the ‘yes’ of His free image, so as to make of her His masterpiece. Before calling a soul to live in His Will, God calls her to Himself, He strips her of everything, and makes her undergo a sort of judgment in order to purify her. In fact, in His Will there are no judgments, and things remain all confirmed; judgment is for those outside of His Will. No being, whether visible or invisible, would dare to subject to judgment one who lives in his will. Indeed, God cannot judge Himself; therefore He makes a soul die to the world more than once, so as to readmit her to life, and to be all of God. The heart of this soul who lives His Will is in Heaven, and her living in time is a martyrdom. Before making the soul enter into His Divine Will, He Himself molds her, mortifies her like iron in the fire, in such a way that all impurities may be abandoned, and everything may be predisposed for ascending to and living in the immense sea of the Will of God. All the works of God are complete; the glory that creatures owe Him will be complete on the last day, and all Creation, in Its entirety, will give Him the honor and the glory wanted and desired by God Himself. That which those who move far away from God do not give Him, He takes from the souls who live His Will, and in them He doubles His grace which others reject, receiving double honor and double glory. That which others reject these souls multiply. These souls, according to their dispositions, give God honor and glory, ten or a hundred times greater, repairing for injustices. In this way, the glory of God on the part of Creation is completed; and when a creature, in spite of her good will, cannot arrive at repairing for everything, He immerses her in His Will, so that she may give Him all the glory, the love and the honor that are due to Him. God is preparing the new era, the era of His Divine Will, in which good souls, by the merits of Christ, will complete the love, the glory and the honor of the whole Creation, causing surprising and unheard-of graces to be poured over all humanity. 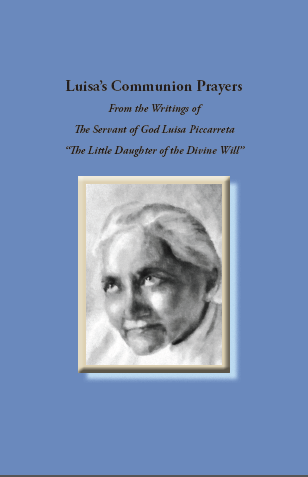 God calls one creature to be the first in this event, the first fruit of a new era – His little daughter in the Divine Will, the newborn of the Divine Will: Luisa Piccarreta, called by all, with prophetic voice, “Luisa the Saint”. It was she who, called to live the Divine Will, laid at God’s feet, as the first one, the adoration and the subjection of the whole human family, placing in the Heart of God the kiss of all generations. 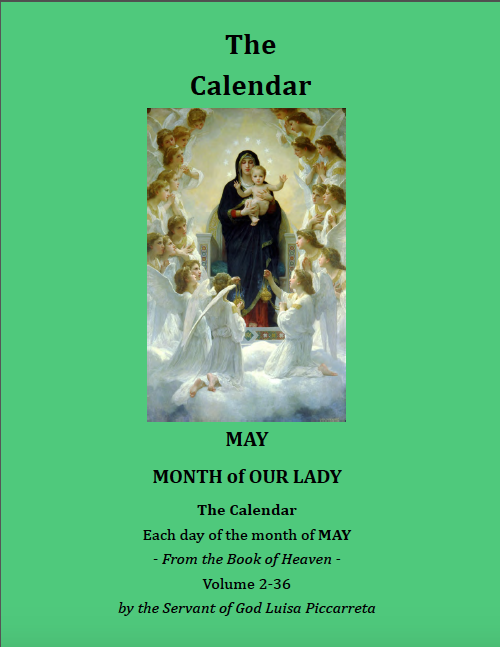 She clasped in her arms the beloved Redeemer, to clasp Him with the arms of all, to bring Him the glory of all and the works of all creatures…. What the creature does on earth is the capital that she accumulates for Heaven; so, if she does little, she will have little; if she does much, much will she have. The glory of God will have its fulfillment from those souls who will live His Divine Will. 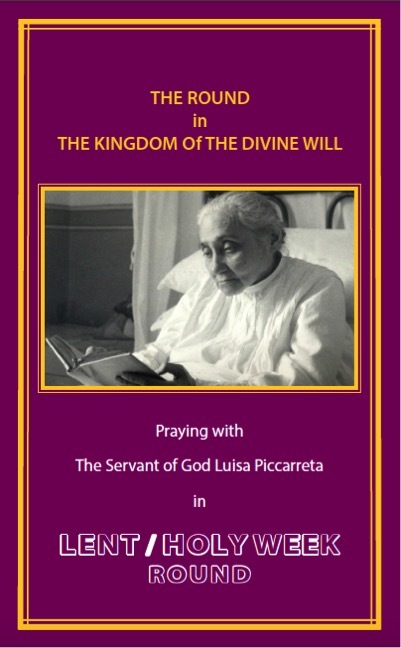 The prayers of the souls who live the Divine Will render the Mercy of God more visible, and the Divine Justice loses Its bitterness – not only in the present time, but also in the future. In fact, these prayers will remain in the Will of God as though impressed in It, and His Mercy will flow abundantly, while His Justice will be less rigorous. The Heart of God will feel a most sweet note, a love for souls who are about to be lost. His Heart will be moved and will save them, because He will find in those who live the Divine Will that which these souls had lost. God has so loved man, that He not only sent His only Son in order to save him, but He did not create any other creature that is free. In fact, the stars, the sun, cannot add to or subtract anything from their own nature; while man, created as free, can increase or decrease, and the more beautiful he renders himself, the greater honor he gives to his Creator. God runs with him, and for him He renews the creative power and gives him the power to do all the good he wants. The Sacraments are called so because they are sacred; they have the value and the power to confer grace and sanctity, and they act according to the dispositions of the creatures; and many times they remain fruitless and cannot confer the goods which they contain. 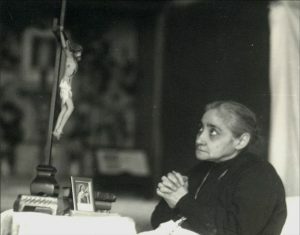 The Will of God is sacred and holy; It contains all the virtues of the Sacraments and does not need the disposition of souls in order to produce Its fruits, because the soul, already disposed to face all possible sacrifices, is open to receive the Divine Will as her own life, and is ready to form heroes and martyrs of Divine Will. The Sacraments, when received well, unite the soul to God; the living in the Divine Will unites the human will to its Creator. To dissolve oneself in the Eternal Volition, to ascend toward the All, is the noblest, most divine, purest, most beautiful and most heroic act that the creature can do. The Will of God is the Sacrament that surpasses all Sacraments. The Will of God is life; the soul who is disposed to receive life is holy, is strong, and receives the strength of God, and everything else. The Sacraments that Christ gave to His Church many times are mistreated, despised, trampled upon; and some even use them in order to receive praise, and they turn them against God to offend Him. Only the creatures who live the Will of God live the true Sacrament, because in entering into the Will of God, they lay down their will and their passions, and only then does God bend down toward them, and transforms them into His power. Only one who lives the Will of God makes God Himself festive, and creatures become most dear to Him. On the other hand, in the Sacraments, the Heart of God swims in sorrow, because many times man changes them into founts of bitternesses, while God gave them as founts of Grace. 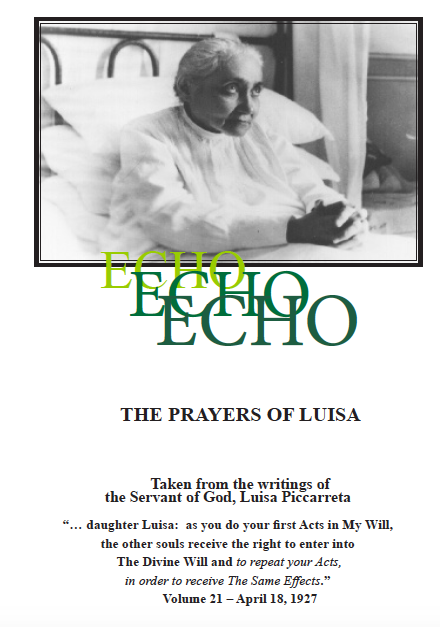 This document is the fruit of reflections and of study for the benefit of those who want to begin a spiritual journey on the Will of God, as indicated in the prayer of the ‘Our Father’.